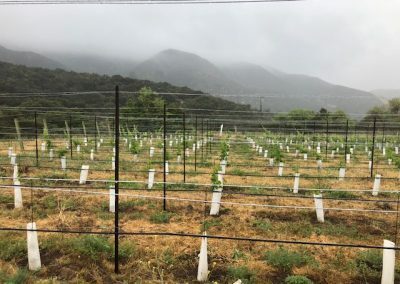 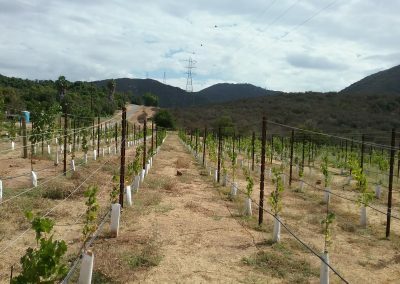 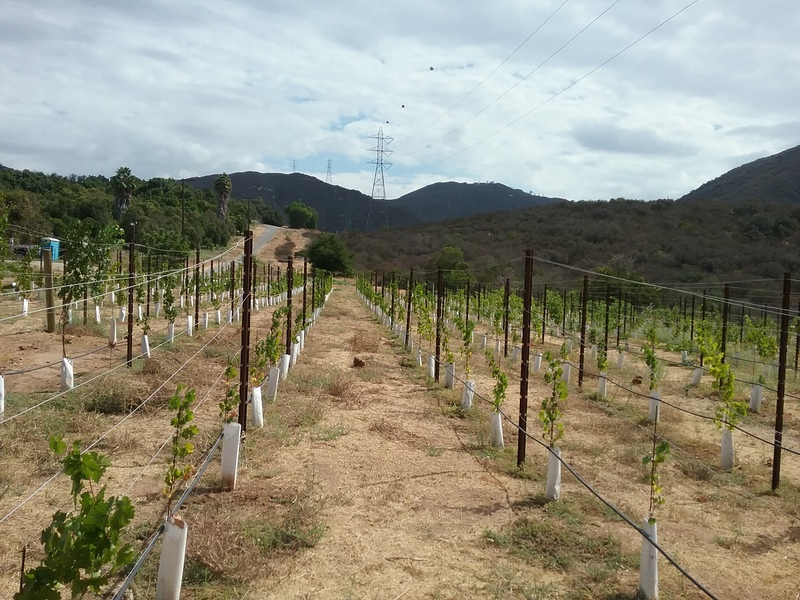 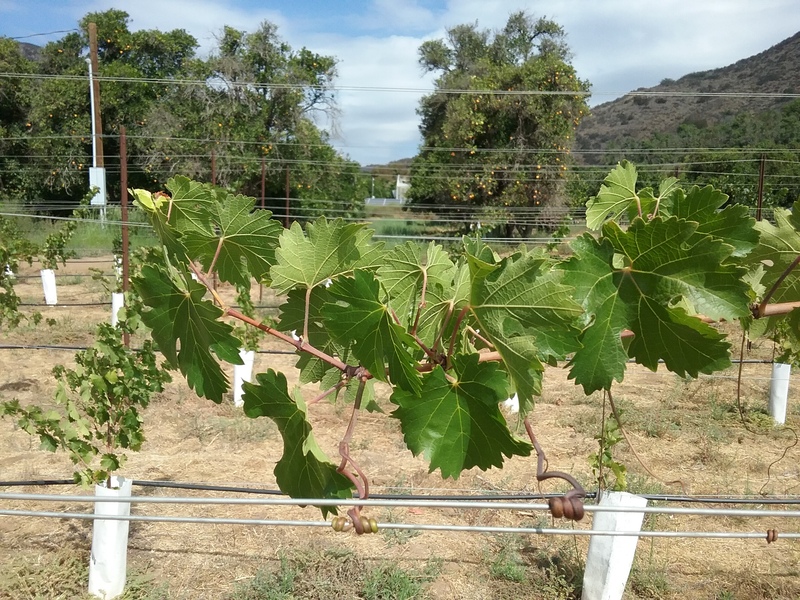 In 2018, an experimental vineyard was established at SMER. 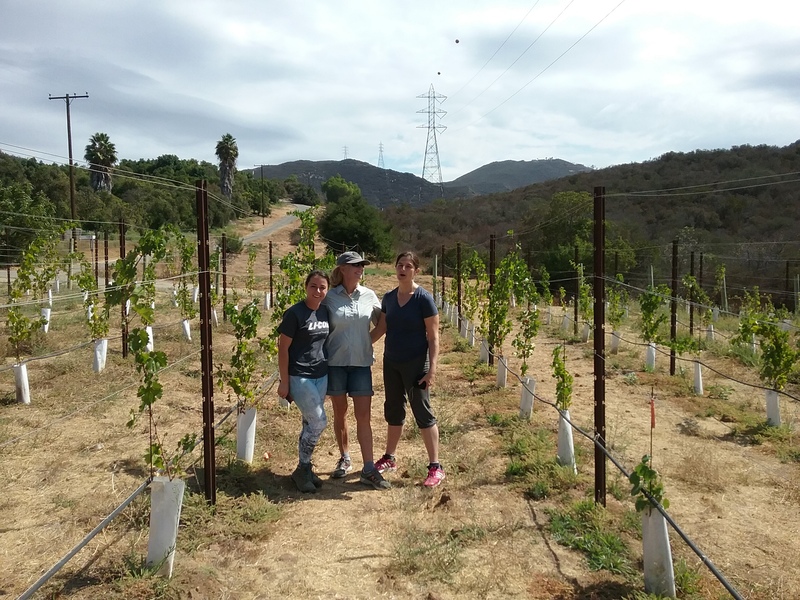 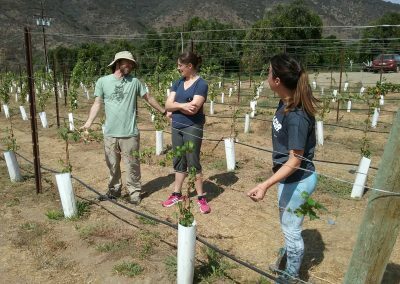 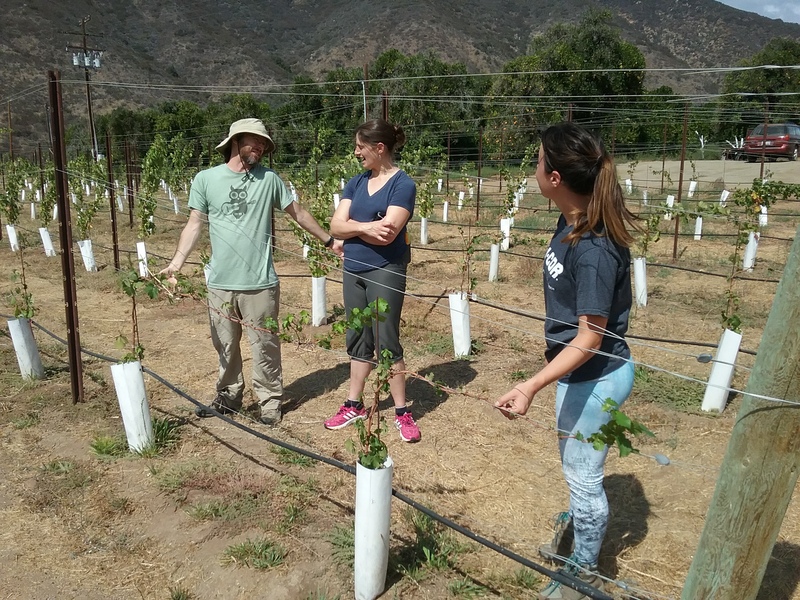 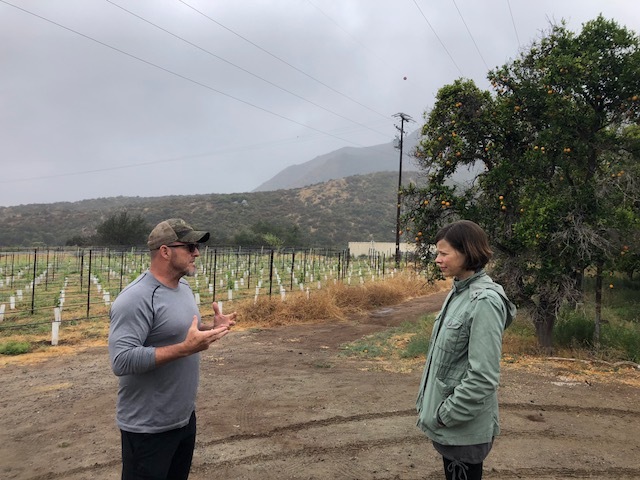 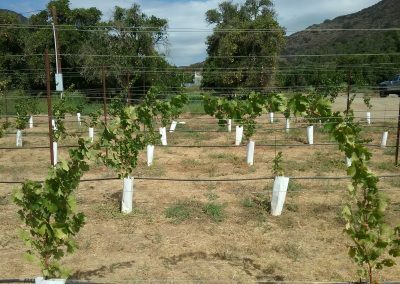 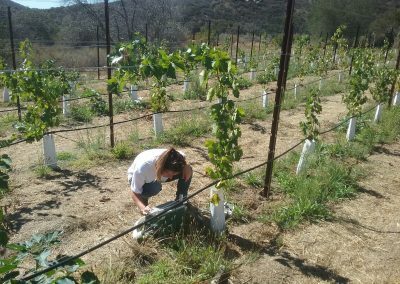 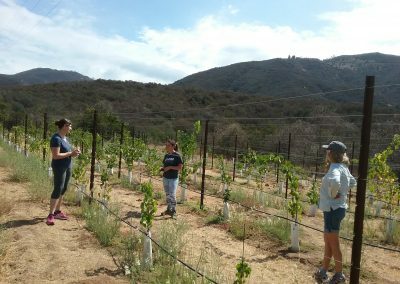 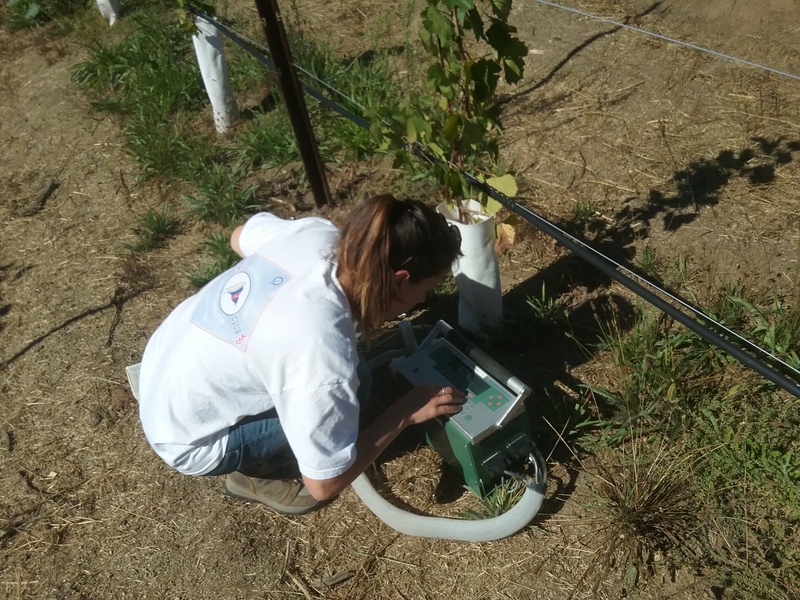 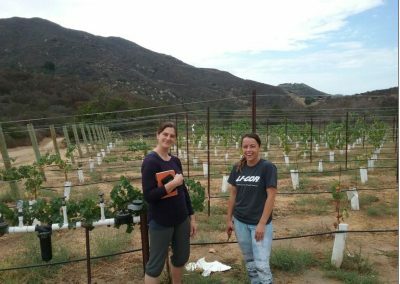 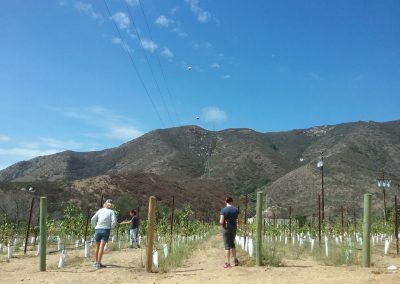 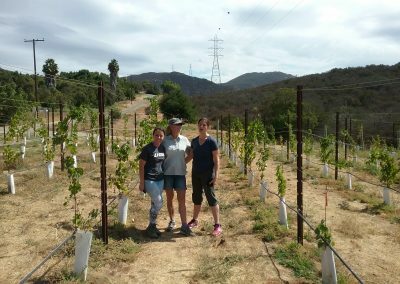 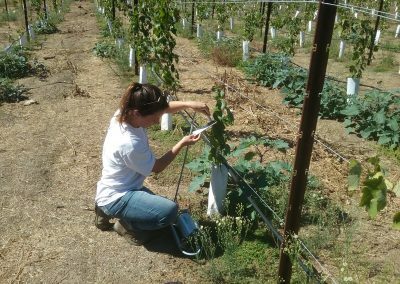 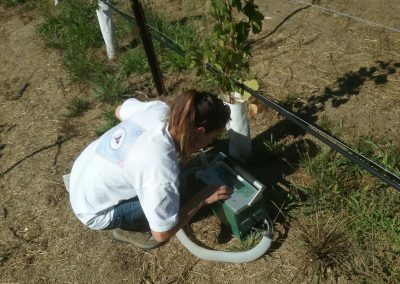 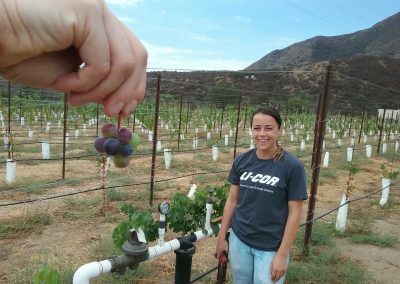 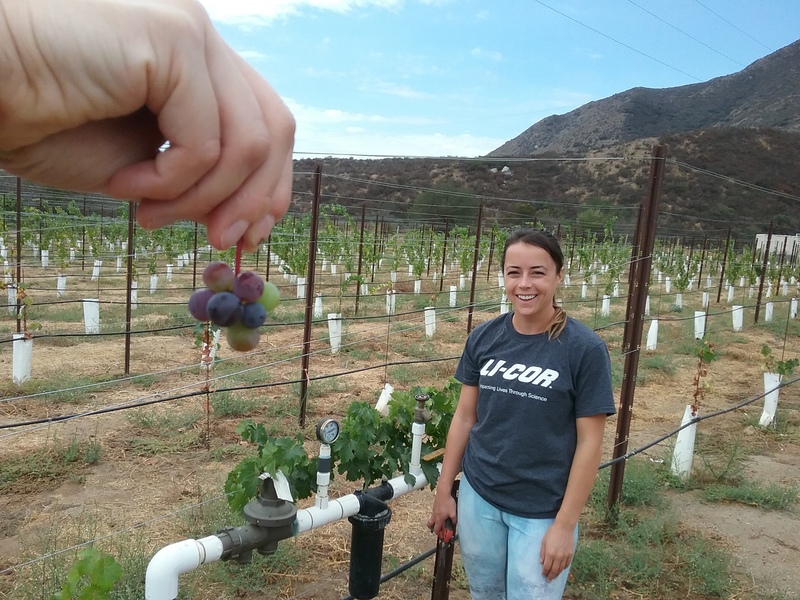 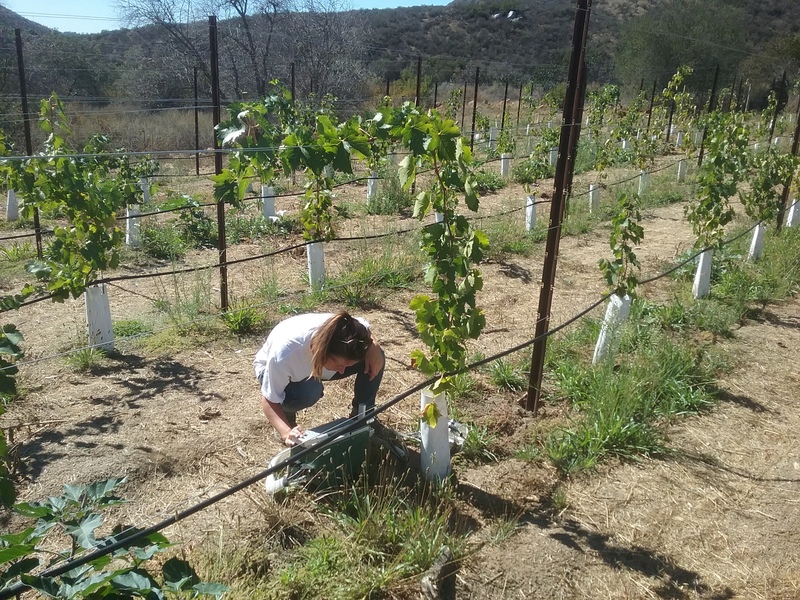 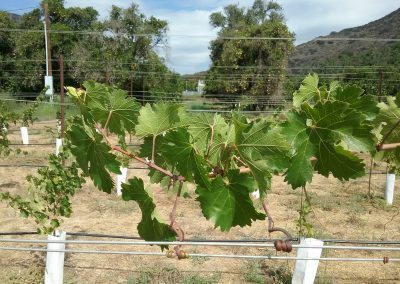 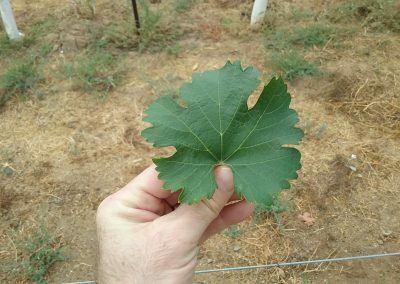 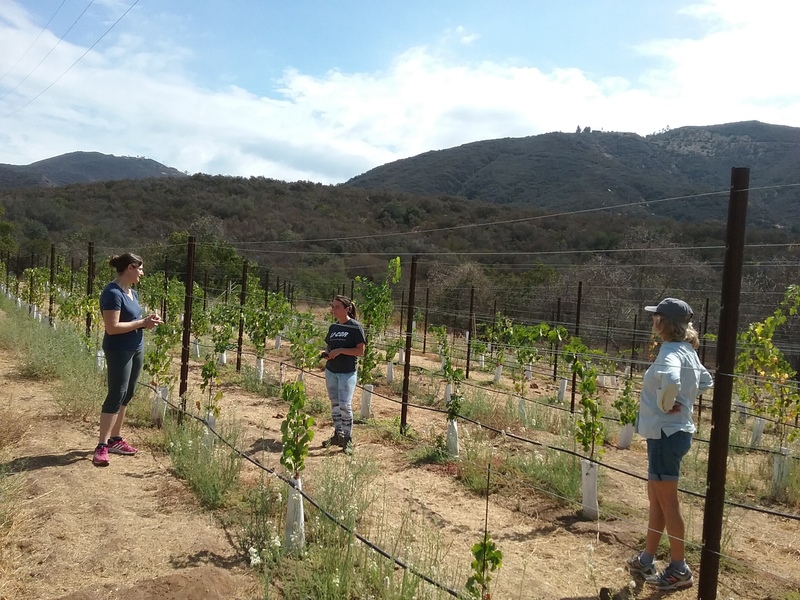 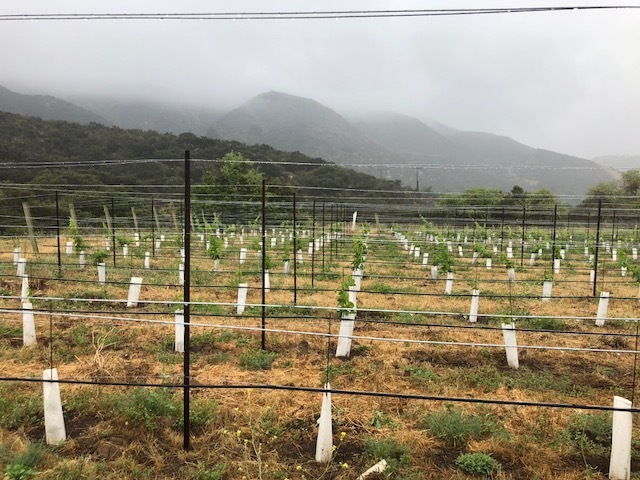 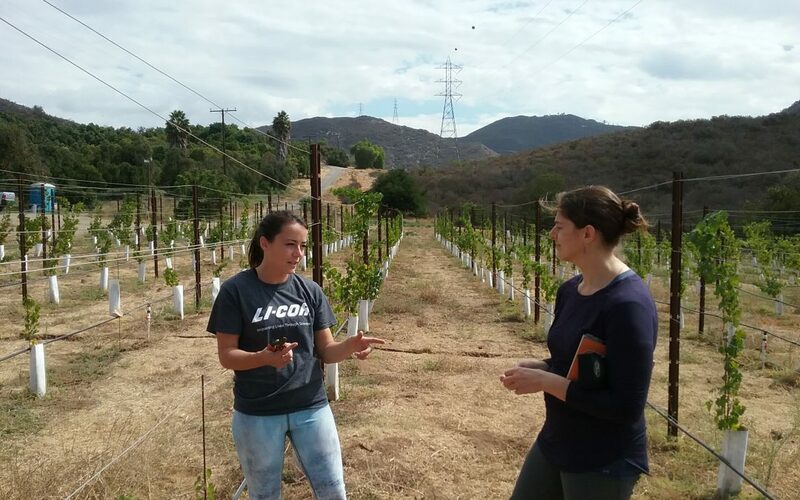 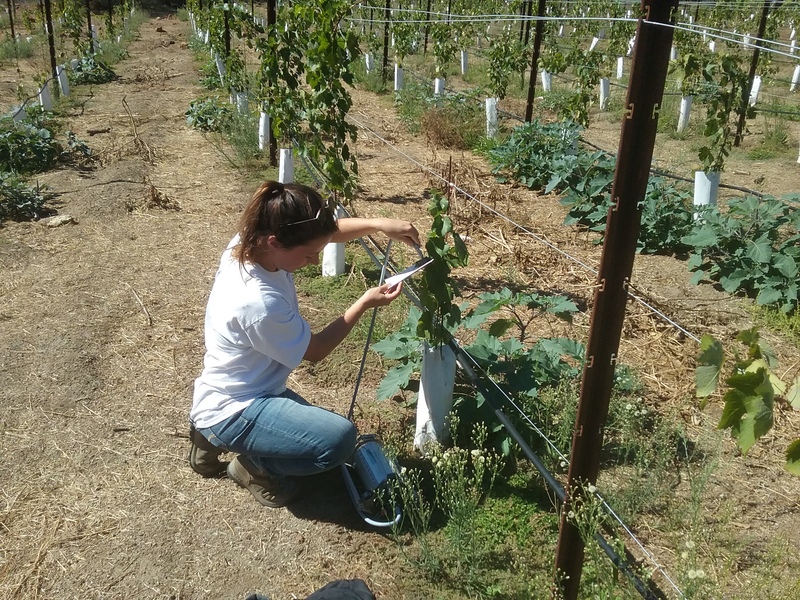 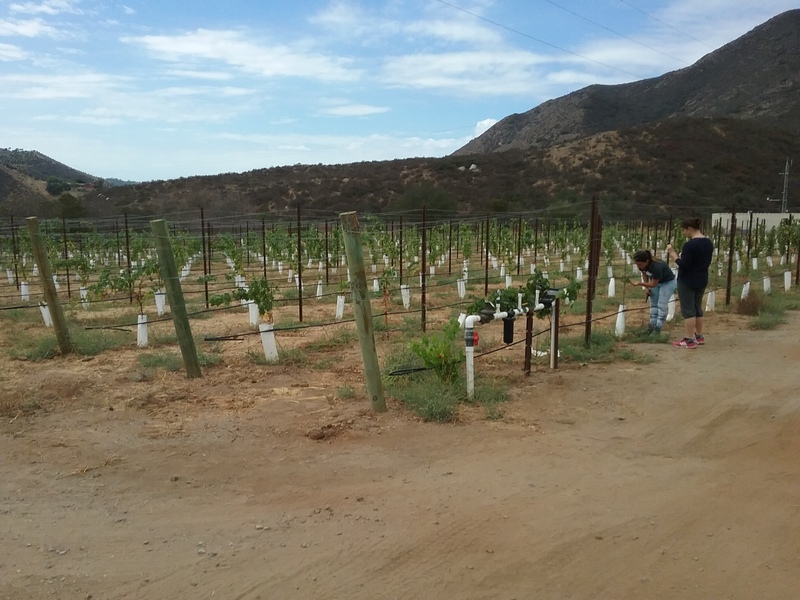 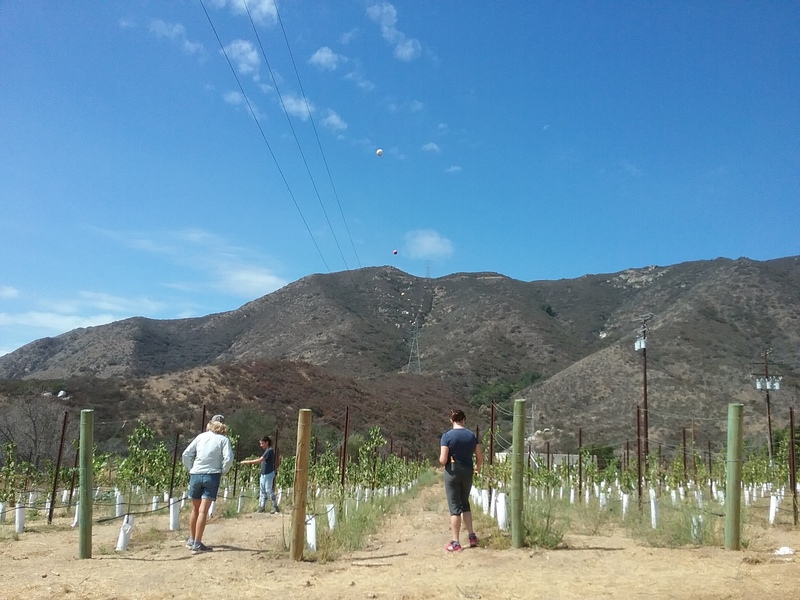 The vineyard is currently supporting the doctoral research of Molly Clemens, who studies the responses of different wine grape varieties to climate variability and elevated CO2. 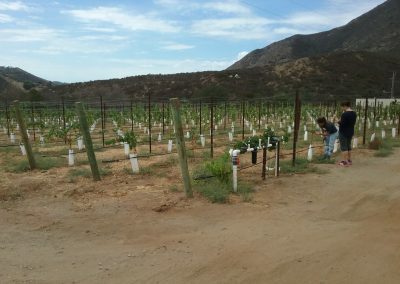 The vineyard is currently planted with cabernet and syrah, with a few other varieties interspersed. 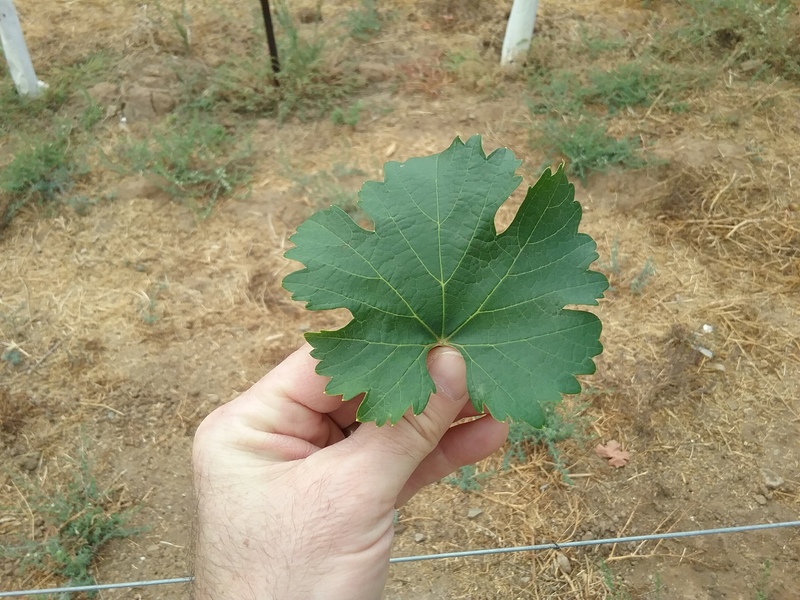 Um, I think this one is a syrah.